One of the best bagels I have ever had – Wichita By E.B. 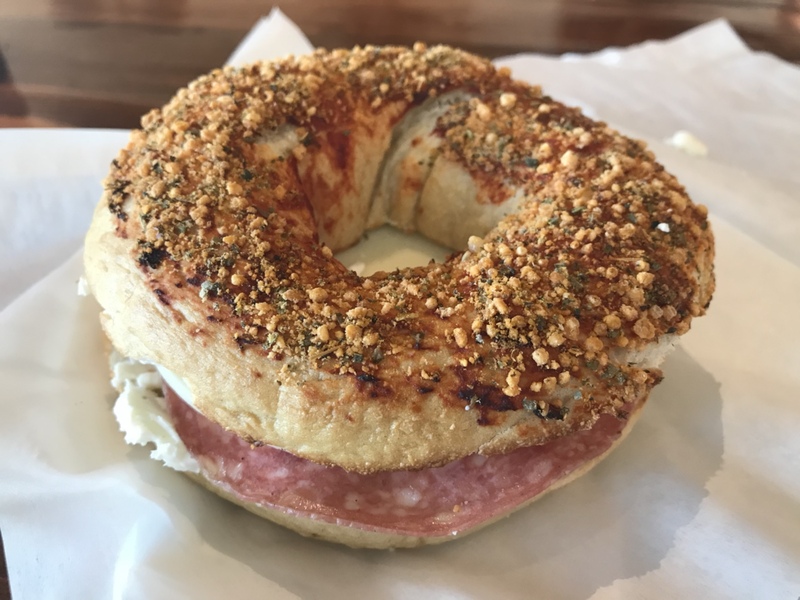 February 9th is National Bagel Day AND National Pizza Day, so I wanted to talk about something I tried last summer and loved. It’s the Pizza Bagel at Bagel Haus. I’m not even sure if it’s still available on a regular basis. The Pizza Bagel includes pizza sauce, Parmesan & seasonings baked into the bagel and smeared with plain schmear, salami and provolone. It cost six dollars and well worth being the “Must Try Menu Item” next time Bagel Haus makes it available. The bagel alone was fantastic and worth getting by itself. 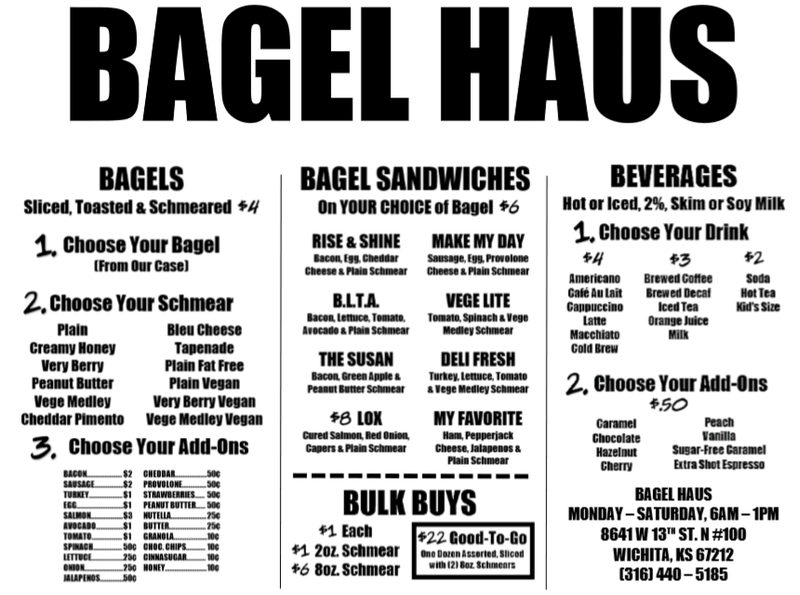 I do know that particular bagel is always on the menu everyday until sold out. The schmear, salami, provolone and pizza sauce made it a million times better. My biggest regret is since I’m an east sider, I have to drive all the way out west for this. Plus I’m not sure when it’ll be available next. 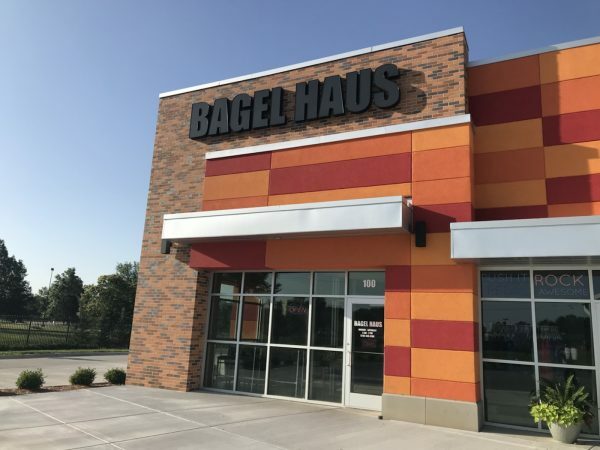 I reached out to Bagel Haus yesterday to see when it’ll be out again and they weren’t sure when it’d return in the same form that I had it last summer. When I find out, i’ll be sure to let you all know. A version of it can be had minus bits and pieces there though.